"Sometime Lofty Towers" is a hushed photographic elegy to the World Trade Center. Because every image of the Twin Towers must henceforth be instinct with the multitudinous memory of lives cut short there, this book restricts itself to architectural images of the Towers' proud presence and melancholy absence-and eschews as "de trop" the all-too-familiar images of the violence and anguish of that awful morning. The majority of the photographs in this book come from the luminous portfolio of Jake Rajs, master photographer of the New York City skyline and Hudson River. They track the progress of a composite day of yesteryear, as Rajs's camera wheels with the sun from ruddy morning to starry night about New York's quarter-mile-high icons. 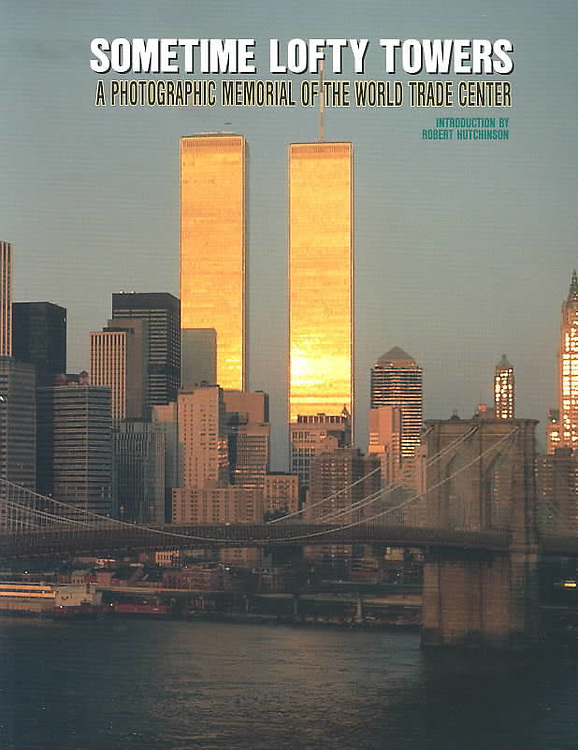 Of the forty-six full-color images of Lower Manhattan in "Sometime Lofty Towers", only one in every five depicts the aftermath of the World Trade Center's destruction. The post-destruction images silently point at the Towers "in absentia"; each such image being juxtaposed with an image of the Towers in their pride taken from a similar viewpoint and in similar light. The book opens with a dedication to "the heroic rescuers who died striving in the name of mercy"; followed by the full text of the impassioned remarks of Governor Pataki to the joint session of the New York State Legislature on September 13th. The title of the book is a phrase immortalized in Shakespeare's Sonnet 64: "When sometime lofty towers I see down razed, / And brass eternal slave to mortal rage /...This thought is as a death, which cannot choose / But weep to have that which it fears to lose." In like fashion, "Sometime Lofty Towers" seeks to ease the pain of ruin with the balm of remembered beauty.